Spring has officially sprung according to the calendar, even though it has felt like spring for several weeks. And that means one thing in particular to me. It is officially the start of Once Upon a Time VI, a challenge hosted by Carl at Stainless Steel Droppings. Last spring, Grace at Books Without Any Pictures introduced me to Carl’s challenge. It was my first reading challenge and I made so many wonderful friends. And I read some good books. 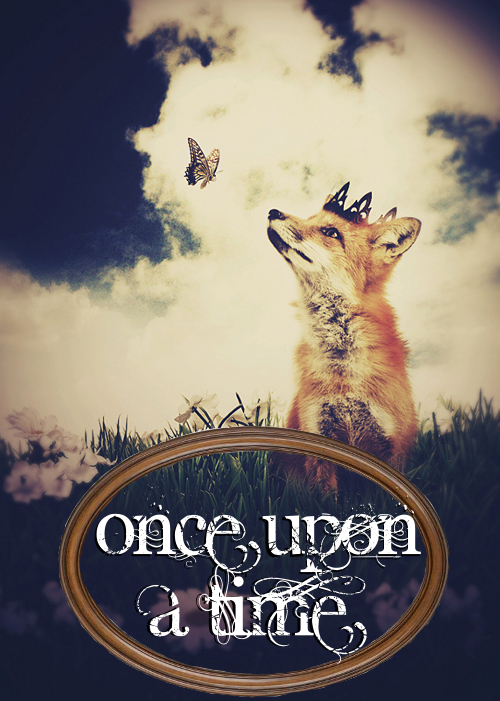 The Once Upon a Time challenge involves reading books that fall into the genres of fantasy, folklore, mythology, and fairy tales. There are several levels to the challenge and I am going to attempt Quest the First. This means I will read five books. Eldest—I read the first installment for last year’s challenge so I thought it fitting to read the next one. Also, Carl is hosting two group reads during the challenge. In April we will read the first installment in Brandon Sanderson’s Mistborn Trilogy. And in May we are reading Neil Gaiman’s Neverwhere. And if I feel like getting crazy this time around, I may supplement my reading with some movies that fall into these genres. We’ll see what I can squeeze in. The challenge runs until June 19th. If you would like to join the fun, and it is fun, please visit Carl’s site and sign up. The more the merrier folks! This entry was posted in Books and tagged Challenges, Eldest, Fairy Tales, Fantasy, Fantasy Novels, Folklore, Gulliver's Travels, Mistborn, Mythology, Neverwhere, Once Upon A Time, Peter Pan, Reading Challenges. Bookmark the permalink. I’ll join as well but won’t be able to post before the end of the week. I’d like to add a list and need to compile it first. I’m very tempted to join the Mistborn readalong but I’m currently already joing 4 readalongs in April. I have read Neverwhere. As much as I liked it, I’m not a re-reader and still have many unread books by him. I have never read Peter Pan but I love the story. I’m looking forward to seeing what you plan on reading. I hope you join the readalong of Mistborn, but I totally understand your hesitation. 4 is a lot! I’m excited about Gaiman’s novel. Carl has talked so much about him. Have fun selecting your books! I haven’t read Peter Pan or Gulliver’s Travels. I’m looking forward to seeing what you think of them! I’ve started Peter and so far I’m liking it. I think I read parts of Gulliver in school but I just don’t remember a thing. I’m looking forward to the group reads! Me too! I’m excited that I already have both of the books. I still have to track down the Gaiman. But I think my library has a copy…I just hope no one checks it out. Otherwise I’ll be making a trip to the bookstore and I never leave with just one book. Great combination with the books and movies! My favourite genre! And I just finished reading a short stories collection. I’ll have to check this challenge out. My Irish story week is still in limbo, as i read a few stories by Bram Stoker, but I wasn’t too impressed, and rightly so, because they turned out to be children stories and two of them were Stoker’s interpretation of biblical stories. On top of all, i want to write fantasy, which means I need to read the best of the best in the genre. So I’ll keep an eye on your postings for this challenge. The deadline for Irish story week has been extended to March 31st. I didn’t know that Stoker wrote children stories. That’s so cool that you want to write fantasy. Recently I’ve started reading more fantasy and I’m starting to love the genre. Happy writing. Can’t wait to read your works! I read Peter Pan a while ago- didn’t love it. I have to say I like the Disneyfied version more than the original. I was trying to remember yesterday if I’ve ever saw the Disney movie and I don’t think I have. I remember riding the Peter Pan ride at Disneyland–or at least I think I do. Man I am getting old! I might check out the Disney movie after reading the book just to compare. It looks like you are going to have lots of fun! I read Gulliver’s Travels in university, but I have never read Peter Pan. One day! I love this event…so much fun. I’m looking forward to following your progress! You’ve just reminded me that I want to read Gulliver’s Travels this year. I must get a copy. Interesting challenge, you’re very good at doing these things! Well I’m good at signing up for them. We see at the end of the year how good I am at completing all of them. They are fun and you get to meet so many wonderful bloggers who love to read as much as I do. Wish I could, but can’t at this time. That’s too bad…there’s always next year. And if you like murder mysteries or scary novels and movies, Carl hosts RIP in the fall. It is one of the best ways to celebrate Halloween! You should check out Carl’s page. The artist Melissa Nucera lets him use the images. There are a few examples and I think you would really like them. You could probably get an idea or two for writing. As you know I think Pan is brilliant (much better than the play, the musical or the film). I am curious to see what you think of it. Gulliver remains one of my favorite all time yarns – and the satire is excellent. I am not familiar with the other 3 books. Interested to know what you think. Good reading. Now I’m even more excited about Pan and Gulliver! I’m so happy spring is here since I’ve had these books for over six months waiting to read them. I’ll be sure to let you know about the other 3. Fortunately one of the books on my list above is on my 1001 book list. I try to combine as many of my projects that I tackle with my 50 year project. Ever since I was a kid, I was a bookworm. I always have a book with me. There are some bloggers out there that read over 200 books a year…I don’t know how they do it! I was also a bookworm from an early age. And even though I always take a book with me (if I go away for more than a few hours), I still don’t read as much as I used to. I do try and make a point of doing some reading when I go to bed every night. I love to read before bed…it helps me unwind and I sleep better. I’ll have to check out those books afterwards…I’m curious as to why it would creep you out. I look forward to hearing about the books you’ll read. Hi there TBM! Sounds like another great reading challenge. The book blogging community is just so vibrant, i love it. I also love the entire premise of looking at fairy tales and folklore. Reminds me of the fractured fairy tale theme we had not so long ago. I love that Carl has designated spring as the time of year to spend some quality time with fairy tales and folklore. It is perfect. And yes your fractured fairy tales fit in perfectly. I really enjoyed those! Oh, I love Peter Pan! J. M. Barrie is probably the most charming narrator I’ve ever read. I hope you enjoy! So far I am enjoying Peter Pan. I love his sense of humor! What a great combination of books! Gulliver’s Travels is a brilliant addition to the challenge, I may have to add it to my list of possible reads. Have fun! Hi Gavin. I’m pretty excited to read Gulliver’s Travels. I’ve head such good things and now I intend to find out for myself. Happy reading!